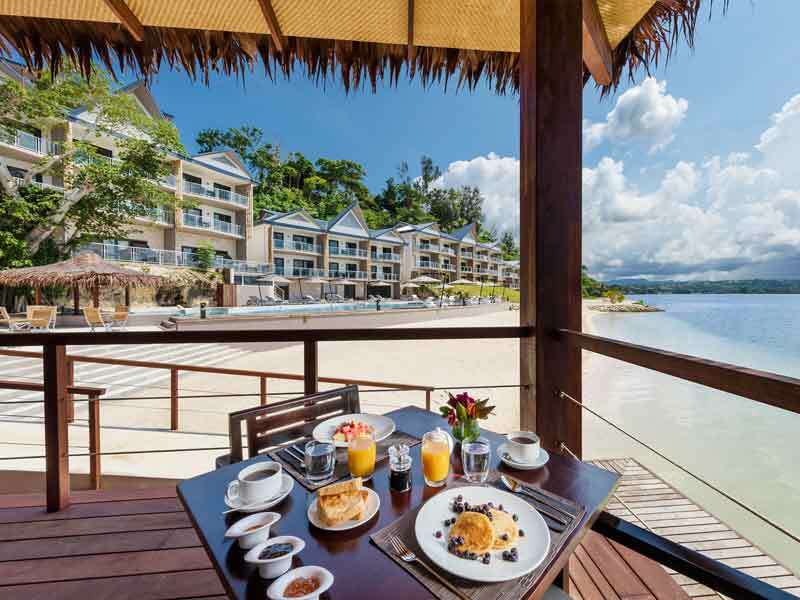 Enjoy a free buffet breakfast each morning! Start your day with a delicious meal that will provide you with the fuel you need for a day full of activities and relaxing. 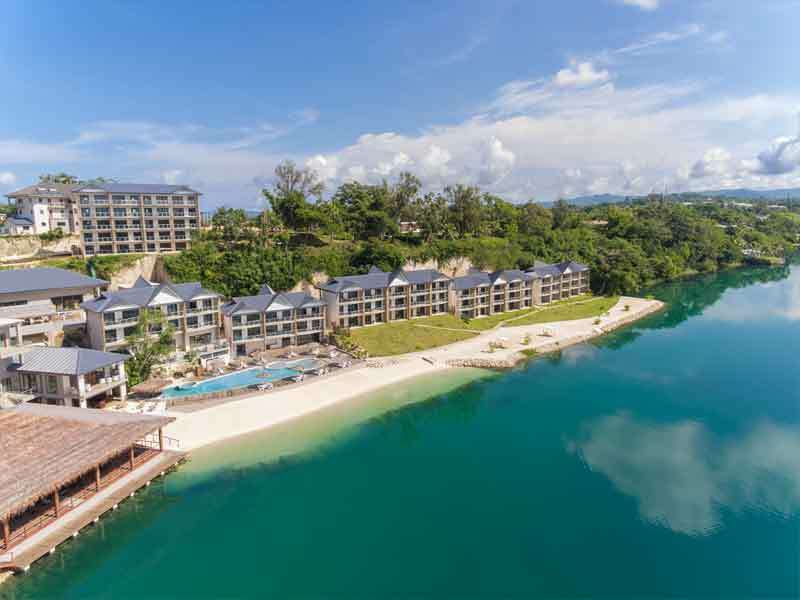 Taste of Vanuatu: Mele Cascade, Kava House & Coffee Factory~: Explore the local life of the island, with a visit to the Mama’s Roadside Market and Tana Coffee, including a tour on small-holder farming. You will also drive through the Mele Garden area and enjoy a nature walk at the cascades. End your day discovering the origins of kava and the significance to Vanuatu culture! Mele Cascades Waterfall Tour + Secret Garden + BBQ Lunch~*: Explore the Mele Cascades, stopping at a lookout with stunning views of the Mele Village, Hideaway and Mele Bay. Cool off throughout the tour in the waterfall and rock pools and with refreshments of local fruits and juice, then at the base of the waterfall you will enjoy a BBQ lunch. On one occasion, you will enjoy a complimentary sunset cruise! Marvel at the spectacular views as you sail away, with complete relaxation! 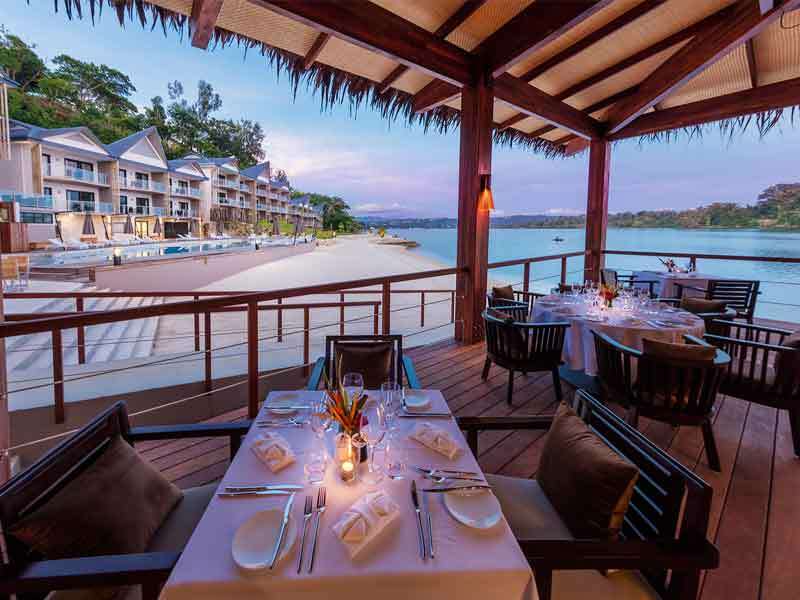 On one night of your stay, 2 guests can enjoy a complimentary dinner. Select between a themed buffet or a set dinner at Akiriki restaurant. You can also enjoy a complimentary bottle of wine! 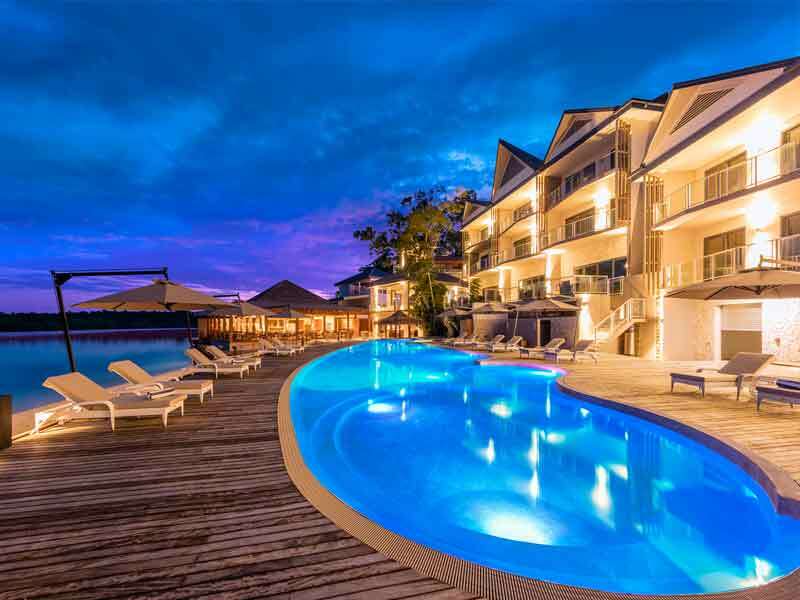 Relax and unwind at the Ramada Resort Port Vila with a 10% discount on spa treatments. 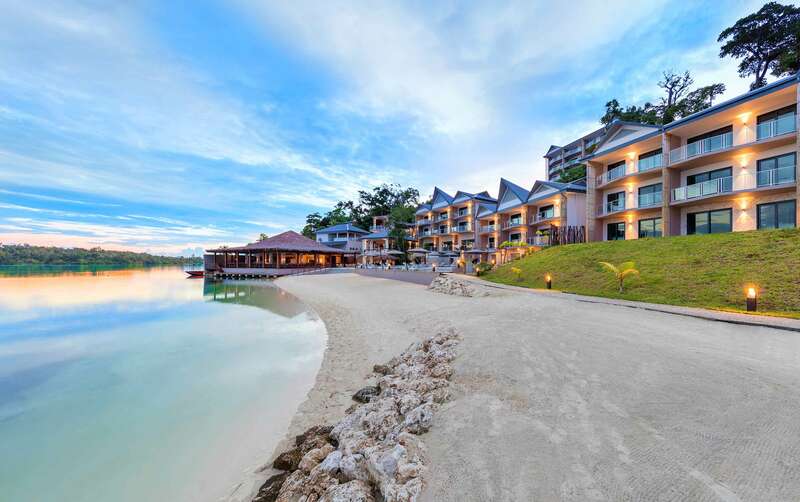 This package is a truly indulgent way to rejuvenate on your holiday. Jump into the water and get active with complimentary use on non-motorised water sports equipment. With snorkeling gear, kayaking and stand up paddle boarding, there is something for the whole family! 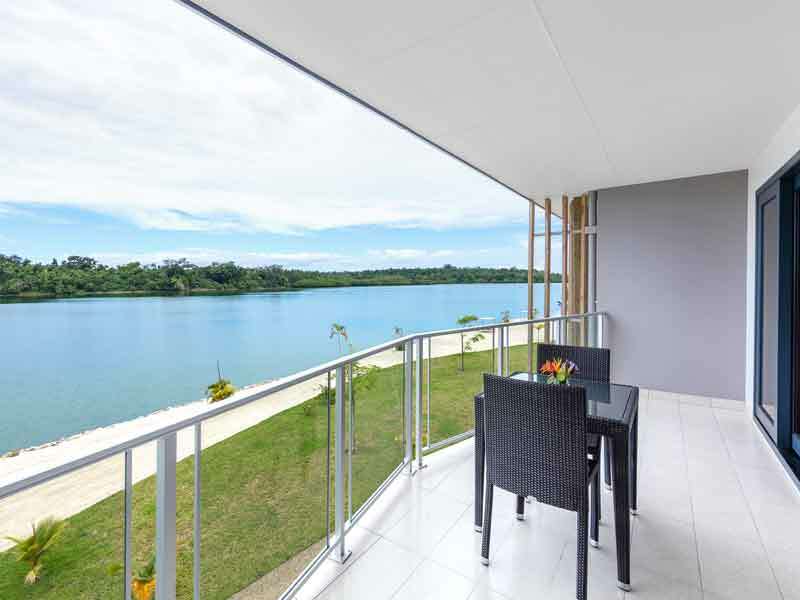 Enjoy your stay in a private apartment with panoramic views of Erakor Lagoon in comfortable Junior Suite Room. 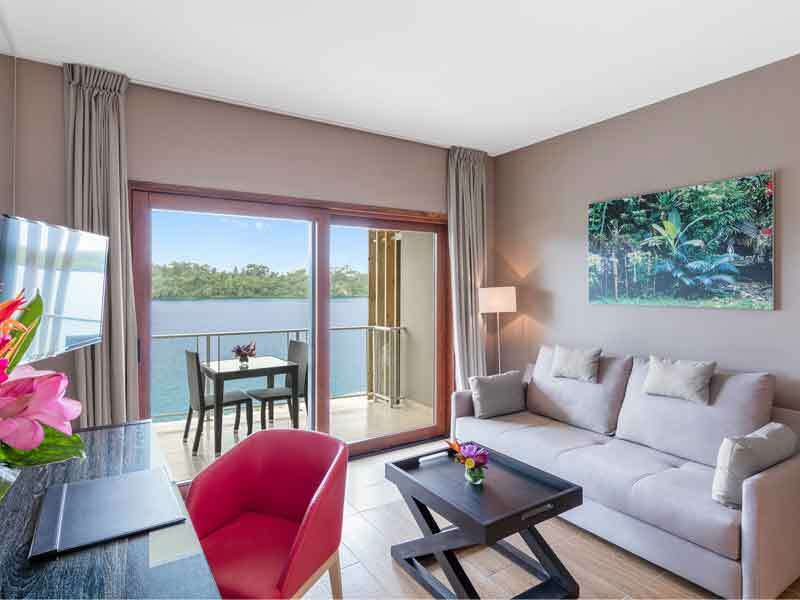 Featuring a lounge area, and the option of having interconnecting rooms, these suites are styled with sophistication and extremely spacious. 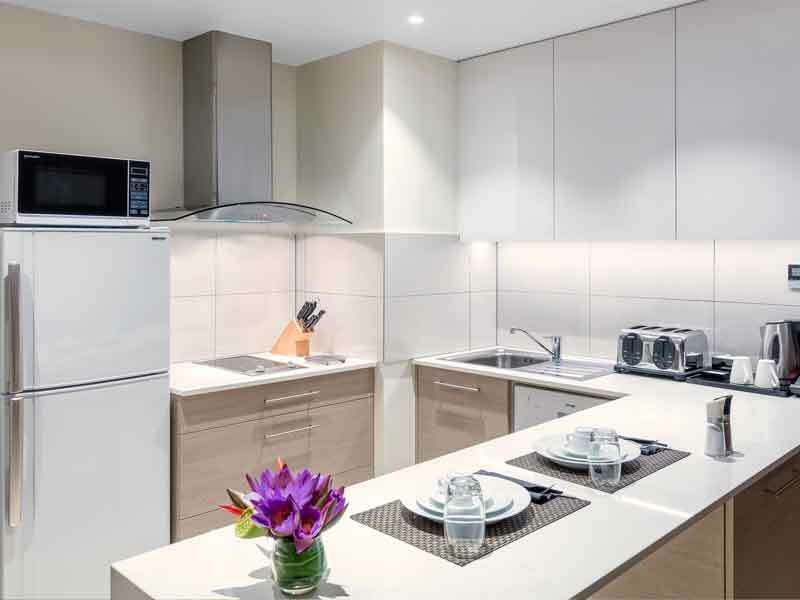 Guests can enjoy a fully equipped kitchenette and a private balcony. With natural wooden furnishings, marble floors and neutral colours this room feels like a comfortable home away from home, which is complete with a large flat-screen TV, free Wi-Fi and more! Start everyday refreshed after a comfortable sleep on the King or Sofa bed and enjoy the room’s private ensuite bathroom with a shower and complimentary bathrobes. 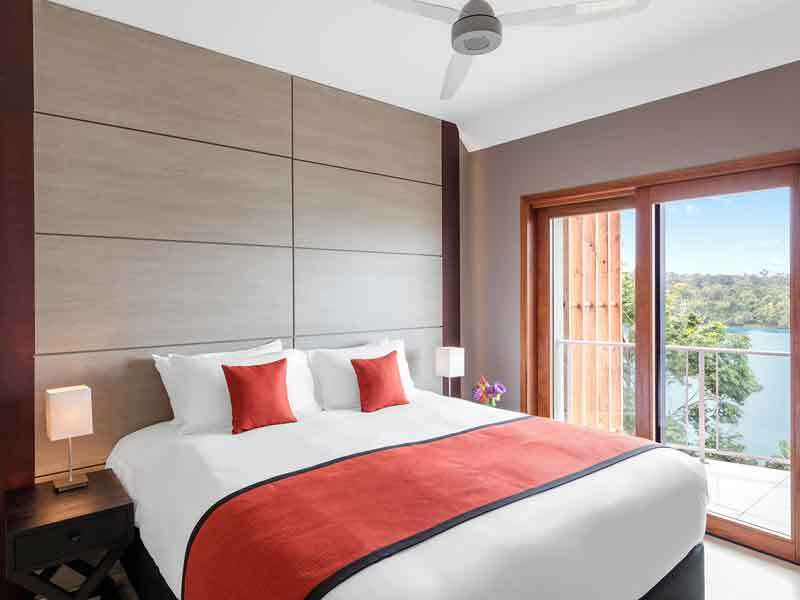 Junior Suite Rooms can accommodate up to 3 guests comfortably. 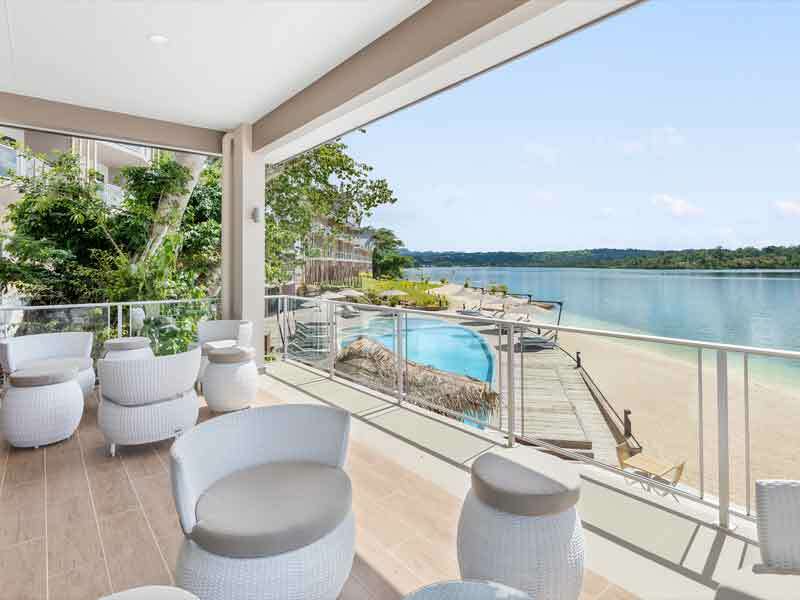 Nestled on the cliffs alongside Erakor Lagoon, Ramada Resort Port Vila is premier resort in Vanuatu offering stunning views from their comfortable and modern suites. 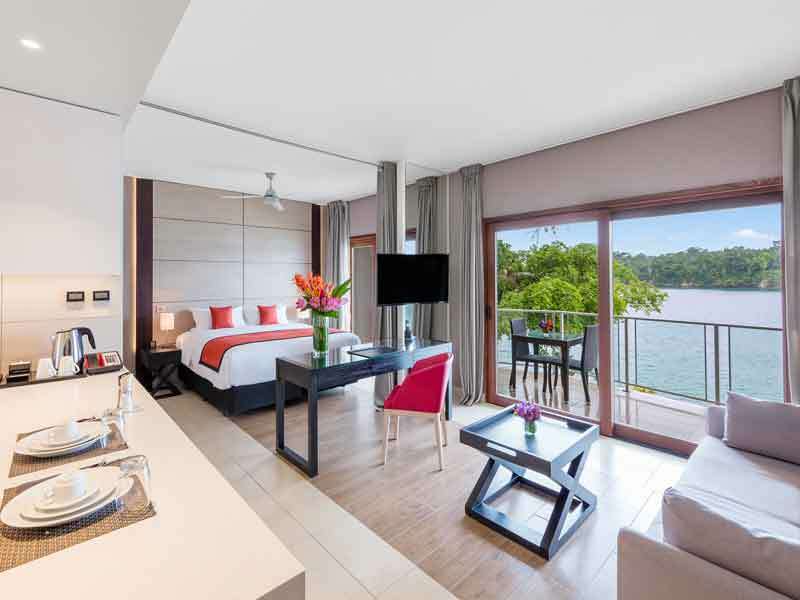 Experience complete luxury when you stay at Ramada Resort Port Vila. 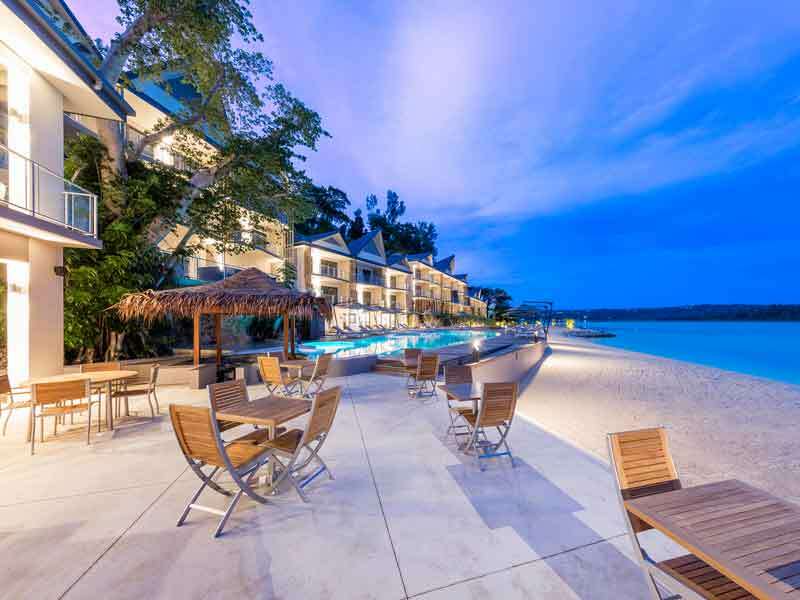 Read more about Ramada Resort Port Vila here! #Kids Stay, Play & Eat for FREE: A maximum of 1 children under 12 years old (or 2 children in Family Suite) stay free in existing bedding when sharing with 2 adults up to the maximum occupancy of the room. Cots are FOC up to the maximum occupany of the room. ~Taste of Vanuatu: Vanuatu’s people are natural gardeners who rely on their food crops for income and daily nourishment. Most of these produces are cultivated and harvested traditionally in organic conditions. This way of living gives the local people their resilience of being able to survive in natural disasters therefore this tour prides itself in showcasing subsistence farming and the ownership the people take in this way of life to make a living in reliance of their surrounding natural resources. The tour offers a visit to the Mama’s Roadside Market then onto Tanna Coffee for sampling and a more in-depth ‘tree to cup ‘tour on small-holder farming. A drive through the Mele Garden area and nature walk at the cascades provides more information on subsistence farming where guests also have a chance to see for themselves and take dip in the freshwater pools. 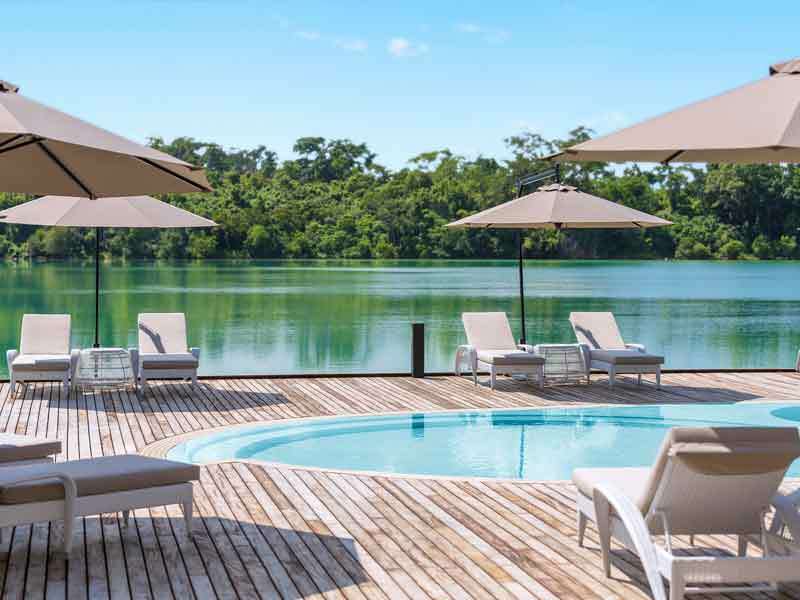 Refreshments of tropical seasoned fruit and cold drinks are served on the overwater deck. At the final stop, discover the origins of kava, its cultivation and learn of the kava beverage and its significance to the Vanuatu culture. What to bring: towel, sunscreen, mosquito repellent, camera. ~*Mele Cascades Waterfall Tour: This tour departs 10 am from your Hotel foyer. You will be greeted by our friendly driver and tour guide. Your tour guide gives you an introduction of the tour and commentary of the sites you drive past. 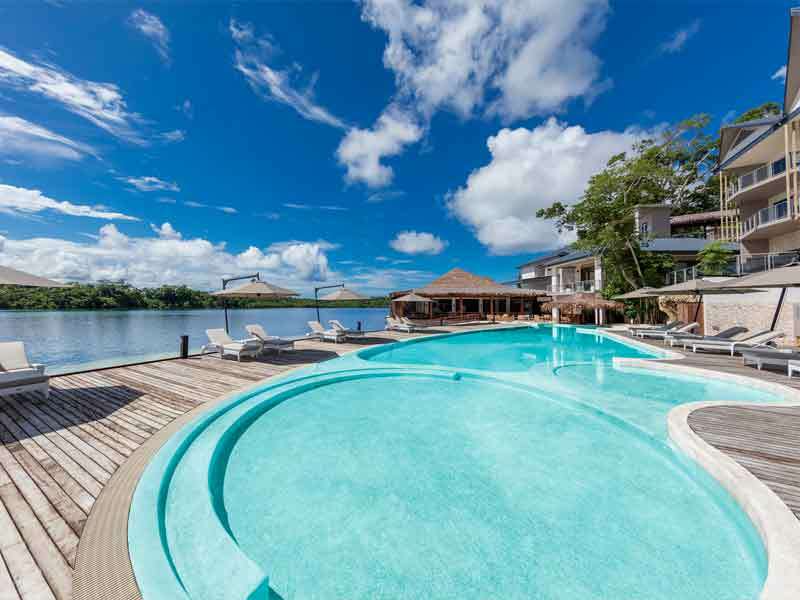 Your first stop will be Mele Village which has a population of more than 5000 people and is the biggest village in Vanuatu. At the village you will be able to see the local people and their livelihood as well as get a chance to visit the village school kids. At Mele Cascades, you will be guided through lush and tropical rain forest catching sight of local cultivation of vegetable gardens and learn about the culture and livelihood of the local people. Take a dip in the clear natural rock pools for a refreshing swim. You can simply sit under the cool shade and enjoy the green. Should time allow, you will be able to enjoy the scenery from our lookout view on the way back. At the base, you shall enjoy a BBQ lunch. Cold drinks are readily available. Alcoholic beverages can be purchased from our cash bar.